Broadcasters have always pushed technology forward. Whether today’s goals are more pixels, faster links, or all-IP infrastructures, broadcast engineers are never satisfied with “good enough”. Improvements are always possible. In the case of imagery, the U.S. is fixated on perfecting 4K capture and supporting infrastructure. 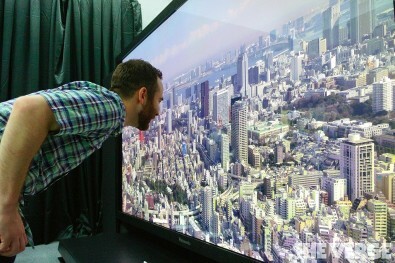 Japan, on the other hand, is making the leap beyond 4K to an 8K production format called Super HI-Vision. Regular broadcasts of 8K are scheduled to begin there next year. While better quality is always, well better, such efforts are expensive and no one has yet to define a clear business model for 4K, let alone 8K. Both require an IP backbone with components yet to be fully defined. The higher resolution images look sharper, especially when high dynamic range (HDR)-capable equipment is used, but the ad dollars to support it are not yet there. A few may ask, why bother? Game Creek’s new Yogi is an IP-capable 4K UHD/IP truck with all fiber-optic inputs and outputs and a central IP switch. While most of the broadcast world is just beginning to try out 4K imagery equipment and production techniques, Japan is racing ahead with 8K technology. NHK, the Japanese broadcaster, began research and development on 8K television back in 1995. Since then they have spent well over $1 billion on its research and development. At NAB 2015, NHK showcased a fairly complete 8K television system — from production through transmission to home viewing. Called Super Hi-Vision, Japan made 8K test broadcasts in 2016 with regular broadcasting of 8K scheduled to begin in 2018. All of this is based on a roadmap adopted under the Next Generation Television & Broadcasting Promotion Forum (NexTV-F), a Tokyo-based consortium set up in 2015. 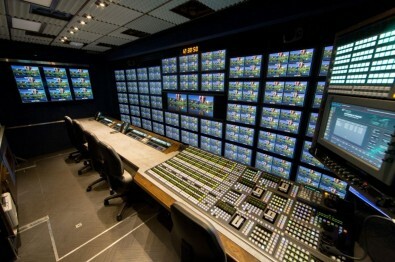 The goal is to broadcast the entire 2020 Olympics in Tokyo at 8K resolution. Did you miss IBC or troubled that you might have missed something important? Never fear, because The Broadcast Bridge staffed the event with multiple editors covering the show from every angle. With that information we built The Broadcast Bridge IBC 2017 Event Channel, which is filled with hundreds of new product and technology announcements from IBC. The Channel is your Go-To place for everything IBC 2017.